She hosted a lavish party at her Hidden Hills, California, home on Wednesday as she celebrated her niece Dream Kardashian's 2nd birthday in style. 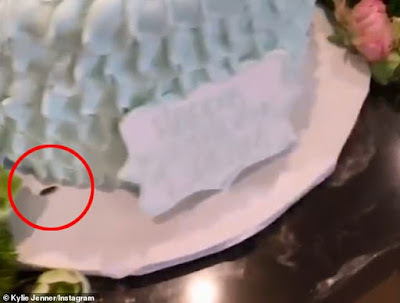 But when Kylie Jenner took to Instagram to proudly share footage of the festivities in a brief video, she inadvertently showed a cockroach crawling around under one of the decadent birthday cakes, according to TMZ. The sizeable critter was seen moving around on the cake base in the seconds-long clip, which the 21-year-old reality star recorded to show off the broad selection of mouth-watering treats on offer on the dessert table. 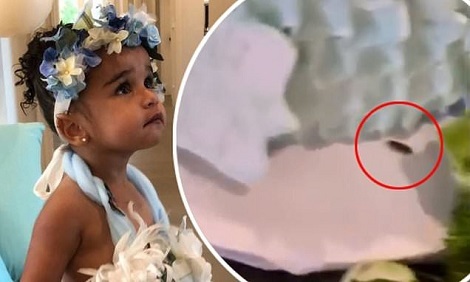 Dream, daughter of Rob Kardashian, turned two on November 10 and her birthday party looked absolutely magical in snaps shared by her aunts Kim and Khloe Kardashian on Instagram until now. Abegi this creatures are everywhere.